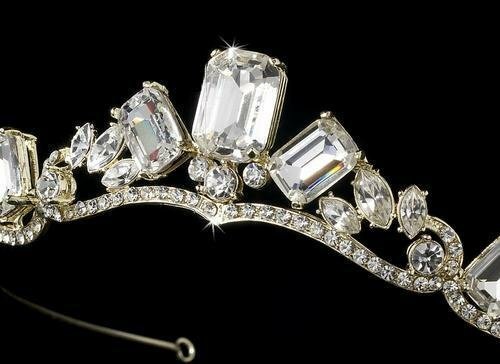 Gold princess bridal tiara with stunning clear rhinestone accents is a gorgeous accessory for the Bride on her wedding day. With large stones and a small peak, this is a less bold accessory, but one that will deliver an equal radiating sparkle that family, friends, and guests will adore and fall in love with. 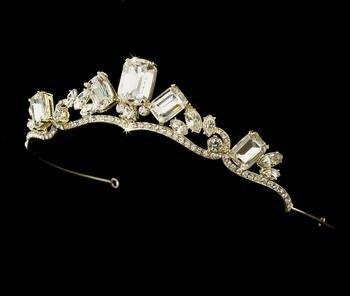 Size: tiara measures 14 cm wide - Tiara peak measures just under 3 cm high.